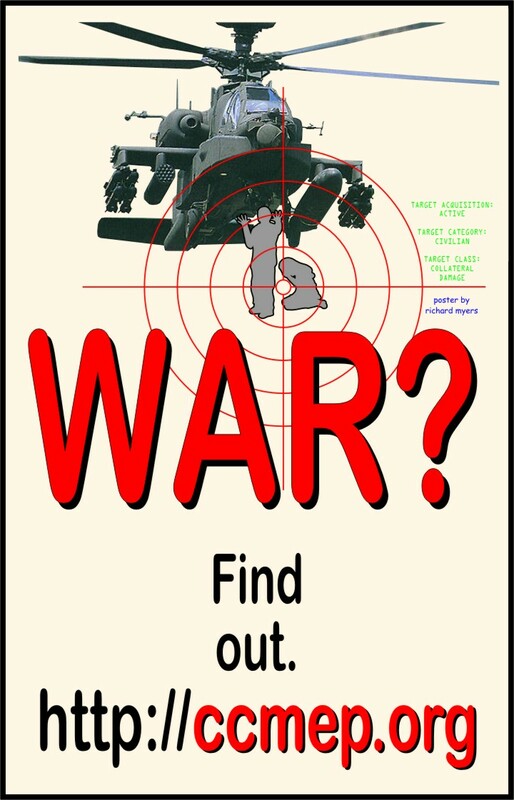 The Colorado Campaign for Middle East Peace is necessarily concerned with war. War in Iraq. War in Palestine/Israel. War. The CCMEP website is one of the best sources for war information in the world. Lets get off our tails and make our presence felt.